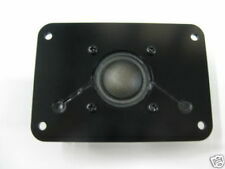 Micca M-8C 8 Inch 2-Way In-Ceiling In-Wall Speaker - NEW - BOXED. ALTO TS215, TS212, TS110, Transport 12, AXUS Speakers, P/N HG00602. P/N HG00553 is Replace by P/N HG00602. This woofer is rated at 70 watts RMS, and 140 Peak. It is very efficient in its sound at 89db (m/w), and does not require a huge amplifier to get great sound out of it. DC Resistance Re: 7.2 ohm. Voice Coil Over Hang X-max 3.5mm. New Diaphragm Klipsch Tweeter K-76 K-79 Pair Titanium!! 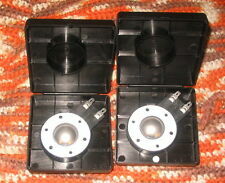 Diaphragm is Titanium and has a smoother output than the normal diaphragms for these tweeters. Output extends to 23 khz also. Frequency: 1000HZ / 7000HZ (that is, bass work in the following frequencies 1000HZ, midrange work between 1000HZ-7000HZ, treble work in 7000HZ above). Power: 200W. 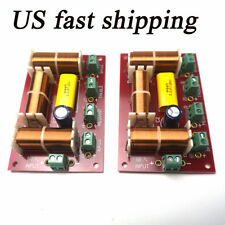 2PCS Crossover Audio Board. 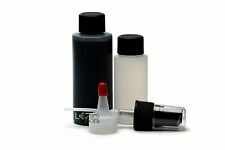 Professional-High grade 2 oz CA glue kit. Nominal power: 50W. 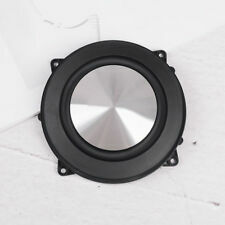 Long stroke, clear voice, stronger base for speaker subwoofer. 2 x Bass Horn. Magnet material: high performance ferrite. Application of sound box update, DIY and what shape you want. Voice Coil Inductance (Le) 1.19 mH. DC Resistance (Re) 7.56 ohms. Frequency Response 40 to 5,000 Hz. We are certain that you will be satisfied with your product and our service. Depth 4.125". Resonant Frequency (Fs) 43 Hz. 7.4" X 2.5" FLAT LINEAR ROLL SPIDER. For more info on this woofer, see below. Voice Coil Inductance (Le) 1.15 mH. Power Handling (RMS) 120 Watts. Sealed F3 40 Hz. Total Q (Qts) 1.54. Electromagnetic Q (Qes) 2.08. # Mounting Holes 8. Depth 4.69". 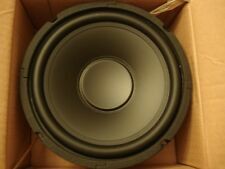 Eminence Legend 15 inch 292-0047 Woofers, 1 pair. The numbers on the label are 292-0047, 10093?. This is for a pair 2 ea of a original, authentic Cerwin-Vega jack plate which is great for adding to speaker and subwoofer cabinets or replacing old ones. Selling (4) SB Acoustics SB12NRXF25-4 4" woofers - 4 ohms. Condition is Used. Drivers are in perfect working order. Shipped with USPS Priority Mail. 2 PCBs (112mm x 80mm). Professional-High grade Rubberized flexible adhesive. Black Rubber Adhesive. Replacing/attaching foam & rubber surrounds. foam surround to basket. Tacks up in 5 minutes and fully cures in 24 hours at room temperature. ALTO Professional TS308, TS310,TS315 Speakers, P/N HG00640. Voice Coil Over Hang X-max 5.0 mm. Efficiency Bandwidth Product EBP 70. Magnet Type: 50 Oz. We are certain that you will be satisfied with your product and our service. Surround: cloth. Cone Material: Non-pressed paper. 12" subwoofer cone lot 12 cones. 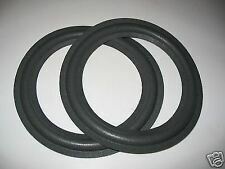 Tall roll santoprene rubber surround. (2) PASSIVE 3 WAY CAR HOME AUDIO CROSSOVER EMB PROFESSIONAL CX-10 2400W MAX PAIR Features: --- Two EMB Professional 4 or 8 ohm crossovers ---Frequency ranges: ---Woofer Frequency: 20Hz-500Hz --- Midrange - 500HZ-4.5KHZ --- Tweeter - 4.5KHZ-20KHZ --- 600 watts RMS/1200 watts peak each 2400 Peak for Pair ---3-way passive crossover network ---Dimensions - 3 inches by 3 1/2 inches by 1 inch high --- This listing is for a pair, you will receive 2 crossovers as pictured. Impedance: Dual 2 Ohm. Wire Material / Type: Round Copper. Speaker Grills & Grill Cloth. Aluminum dust cap to cones (overnight set). These speakers are 43 years old and now good as new again. Re-installing the woofer was a 5 minute process and the sound was great. These crossover at 700hz and 4khz. 8 ohm crossovers. The model # is ANK 312P. 12" Cerwin Vega Speaker Foam Repair New-Edge-It ® Kit, Part # FSK-12AR. These are the RED over GRAY double laminated Cerwin Vega surrounds! These speakers are 43 years old and now good as new again. Bohlender Graebener Neo3-PDRW Planar Tweeters Open Back-Tweeters. Bohlender Graebener Neo3-PDRW Planar Transducer. The Neo3-PDR represents a new breakthrough solution in planar transducer technology from Bohlender Graebener Corporation. Also, the Neo3-PDR diaphragm has a very specific resistive acoustical loading that is accomplished by locating absorbing material in close proximity to the diaphragm periphery. 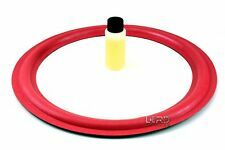 10" JL Audio 10W7 Single Edge Speaker Foam Repair New-Edge-It ® Kit. 10 " GRAY, 10W7 FLAT CONE EDGE ATTACH, SUPER WIDE, FSK-10JL-W7. JL Audio: 10W7, 10W7AE, 10W7-3, 10W7AE-3. Q: I have a JL Audio subwoofer, and I do not know my model. 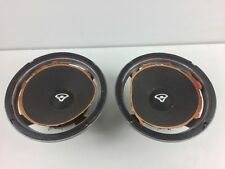 Up for sale is a pair (2) of Vifa P17WJ-00 4ohm 6.5" midbass speakers. Infinity SM150 SM152 SM155 15" Woofer Foam Repair Kit w/ Inf Logo Dust Caps! This is the correct kit that fits on the SM150, SM152 and SM155 woofers and more models. 1 Bottle of Specially Formulated Foam Surround Adhesive. 2 Foam Surrounds (F15-1). 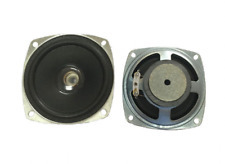 It can be very difficult to refoam a speaker without removing the dust cap and inserting the plastic shims. These speakers are rated at 100RMS. It produces solid bass response. This woofer has a frequency range of 45hz-3.6khz. Treated cloth edge suspension. We are certain that you will be satisfied with your product and our service. Bring music anywhere with up to 8 hours of power2 and a wireless charging base. With the VIZIO SmartCastTM app3 and Google Cast built-in, you can cast music from your phone to your speakers. VIZIO SmartCast Crave 360™ Multi-Room Wireless Speaker - SP50-D5. Trending at $78.73eBay determines this price through a machine learned model of the product's sale prices within the last 90 days. Professional-Grade hexane-based rubberized adhesive specially formulated to form a permanent, flexible bond. 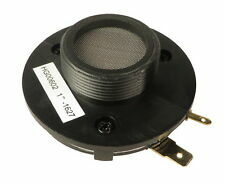 MANY quality speaker manufacturers and professional reconers use this for Replacing/attaching foam surrounds. Tried them and they worked. Professional-Grade hexane-based rubberized adhesive specially formulated to form a permanent, flexible bond. MANY quality speaker manufacturers and professional reconers use this for Picture shown above includes all available sizes, from. 5 oz up to 16 oz. Designed for JBL Flip 4 Flip4 Speaker. Specially Designed for JBL Flip 4 Portable Wireless Bluetooth Speaker, Soft and Easy to Carry, Great Protective for jbl flip 4 Bluetooth Speaker, Protect the Speaker From Scratches Dings and Dents. 2003-2009 Lexus GX470 Subwoofer Speaker Foam Surround Repair Kit 86160-0W030. 6" Speaker Foam Repair New-Edge-It ® Kit for Mark Levinson Subwoofer. These speakers are 43 years old and now good as new again. Custom printed circuit boards designed for the crossover of the Overnight Sensation DIY speaker design by Paul Carmody. Crossover components for the Overnight Sensation speaker design. Solder components leads to the pads on the bottom of the board. 200 watt rms. 24 ounce barrium ferrite magnet. 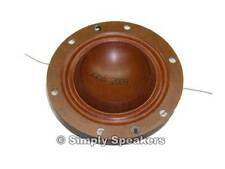 1 1/2" capton voice coil. 45hz to 4500hz response. Molded poly treated composition cone. Non rotting velbex surround. Large 4 1/2" roll pleated spider for long throw deeper bass. 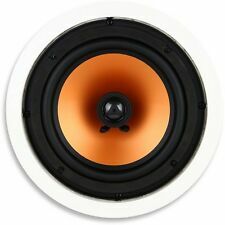 13.5" JL Audio 13W7 Single Edge Speaker Foam Repair New-Edge-It ® Kit. 13.5 " GRAY, 13W7 FLAT CONE EDGE ATTACH, SUPER WIDE, FSK-13JL-W7. JL Audio: 13W7, 13W7-D1.5, 13W7AE, 13W7AE-D1.5. Q: I have a JL Audio subwoofer, and I do not know my model. A shielded magnet structure allows the HiVi M4N 4" full-range speaker to be incorporated easily into audio/video applications. Be the first to hear about new and exciting. Speaker Buyouts. New Arrivals. Dust Cap Material: Carbon Fiber laminated on kraft pulp. Because of its piezo design it provides clean crisp highs and doesn't require a crossover making it easy to wire. You can simply connect these to any existing speaker outputs. Tweeters ar e almost always part of a complete well balanced music system adding detail and clarity. 12" Tall Roll Subwoofer Cone 3" VCID. Cone body Material: Non pressed Kraft Pulp. Cone Height: 2.58" (65.5mm). Cone Mass: 173 grams. Voice Coil Opening: 3.07" (78mm). 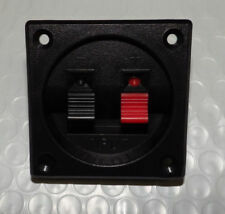 Run the speaker wire behind the scenes in the wall and place one of these just behind your speaker. Then the speaker can easily be patched in using a short piece of speaker wire. Includes installation instructions and mounting hardware.